With EDIUS, the time spent on conversion, rendering and other tasks can be minimized. 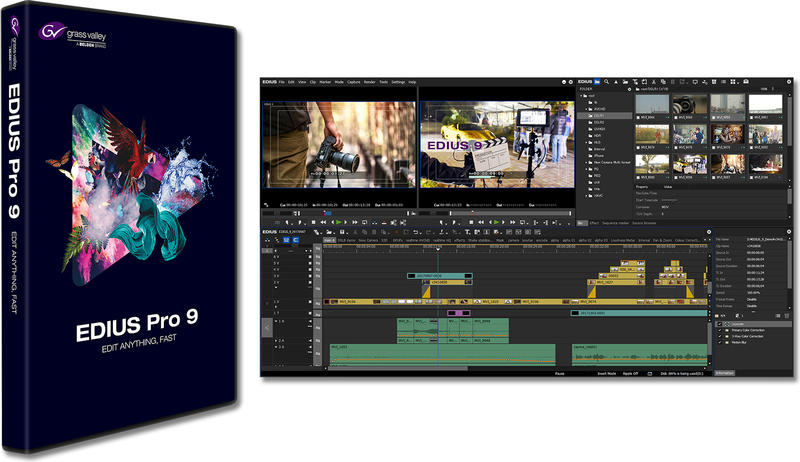 With its superior real-time technologies, videos with different resolutions and frame rates, including 4K, HD and SD, can be edited comfortably on a single timeline, allowing native editing of various formats without conversion. EDIUS supports HDR video editing that maximizes utilization of log materials, preserving high dynamic ranges. Numerous color spaces are also supported. In addition to primary color correction video filters that enable flexible color grading, mixed editing of SDR/HDR sources is possible using project color space settings. Moreover, exporting files with HDR metadata added for broadcast and web use is possible. These features enable creation of workflows that are optimized for the delivery of HDR projects. Mync Standard is included as an application for the integrated management of various types of media saved on a computer. In addition to support for the latest consumer products, including digital cameras, smartphones, drones and wearable cameras, media in XDCAM, P2, XAVC and other professional camera formats are also supported natively. The AVCHD and MXF formats, for example, have complicated file structures, but you can smoothly load and preview files in these formats without worrying about these structures. Comments, ratings and other metadata can be added to each content item. The comprehensive range of functions includes storyboard video editing, smart searches, tag management, loading history and uploading. Furthermore, the content in Mync can also be handled in the EDIUS source browser, contributing to workflow improvements. Native decoding support has been newly added for the Canon EOS C200 “Cinema RAW Light” format. Moreover, high-level image production is possible utilizing photo RAW files for the different camera makers as well as Cinema DNG and DPX files. We also support high-quality video output using hardware from Blackmagic Design Pty. Ltd. and AJA Video Systems, Inc. For details, please see the FAQ. Based on feedback from customers around the world, we have revised the user interface, improving the appearance and usability of the editing screens.